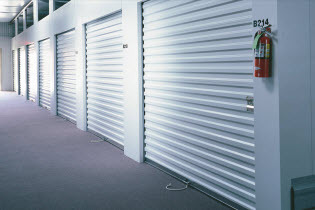 When your project requires an attractive and solidly constructed rolling sheet door that is also easy on your budget, Overhead Door rolling sheet doors are a perfect solution. These door systems incorporate innovative design elements that enable fast installation and ensure smooth operation for enhanced door life. Key features include quick-connect components that simplify installation without sacrificing strength. A single, through-hole universal guide can be installed quickly and easily in concrete, masonry, steel or wood — and it requires minimal sideroom. Stepped curtain rings further minimize headroom by ensuring a tight curtain wrap, and standard roller bearings eliminate steel-on-steel contact for quieter, easier operation and extended life. 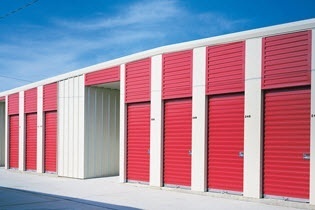 Available in a variety of colors and sizes to fit openings from 3' wide by 7' high to 20' wide by 16' high (914 mm by 2134 mm to 6096 mm by 4877 mm), these full-feature doors are an ideal choice when functionality is as important as value, quality and aesthetics. 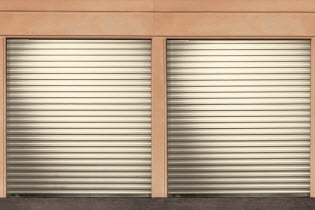 The 780CD rolling sheet doors are designed for medium-duty usage environments where a high windload-rated door is not required. 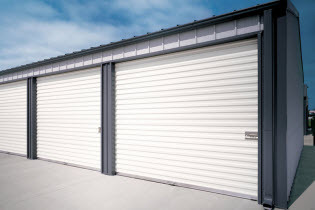 The 790CW rolling sheet doors fit the job when your project requires a door that can handle high windload conditions, yet is attractive, versatile, and economical.